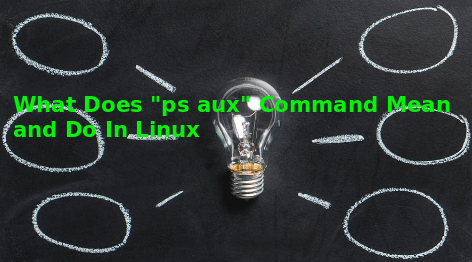 ps command is used to get detailed information about process running on Linux, Unix and BSD systems. There are some popular options and use cases for ps where one of them is aux options. We will look this use case in this tutorial. For more detailed ps tutorial look following. The default behavior of the ps command is listing only current user processes. All other users owned processes will be not shown. a options will print all other user processes too. The default behavior about showing process information will not print the owner of the process. But in most of cases the process owner data will very helpful. So we can use u option in order to show process owner. ps will show only terminal attached process by default. If we want to show other processes those not attached to the terminal we can use x option. LEARN MORE What Is Windows Sysinternal?